The inspiratory metaboreflex is activated during loaded breathing to task failure and induces sympathetic activation and peripheral vasoconstriction that may limit exercise performance. Inspiratory muscle training appears to attenuate the inspiratory metaboreflex in healthy subjects. Since whole body aerobic exercise training improves breathing endurance and inspiratory muscle strength, we hypothesized that endurance-trained individuals would demonstrate a blunted inspiratory muscle metaboreflex in comparison to sedentary individuals. 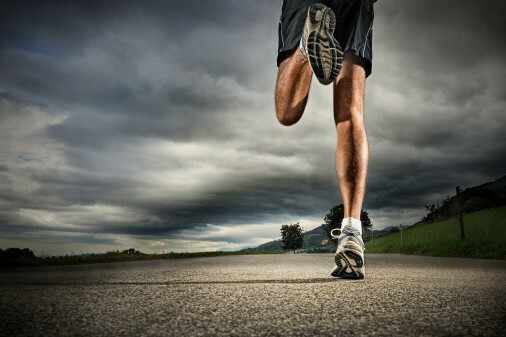 We studied 9 runners (23±0.7 years; maximal oxygen uptake [VO2 max] = 53 ± 4 ml kg(-1) min(-1)) and 9 sedentary healthy volunteers (24±0.7 years; VO2 max = 37 ±2 ml kg(-1) min(-1)). The inspiratory muscle metaboreflex was induced by breathing against an inspiratory load of 60% of maximal inspiratory pressure (MIP), with prolonged duty cycle. Arterial pressure, popliteal blood flow, and heart rate were measured throughout the protocol. Loaded breathing to task failure increased mean arterial pressure in both sedentary and endurance-trained individuals (96±3 to 100±4 mmHg and 101±3 to 110±5 mmHg). Popliteal blood flow decreased in sedentary but not in trained individuals (0.179±0.01 to 0.141±0.01 cm/s, and 0.211±0.02 to 0.214±0.02 cm/s). Similarly, popliteal vascular resistance increased in sedentary but not in trained individuals (559±35 to 757±56 mmHg s/cm, and 528±69 to 558±64 mmHg s/cm). These data demonstrate that endurance-trained individuals have an attenuated inspiratory muscle metaboreflex.